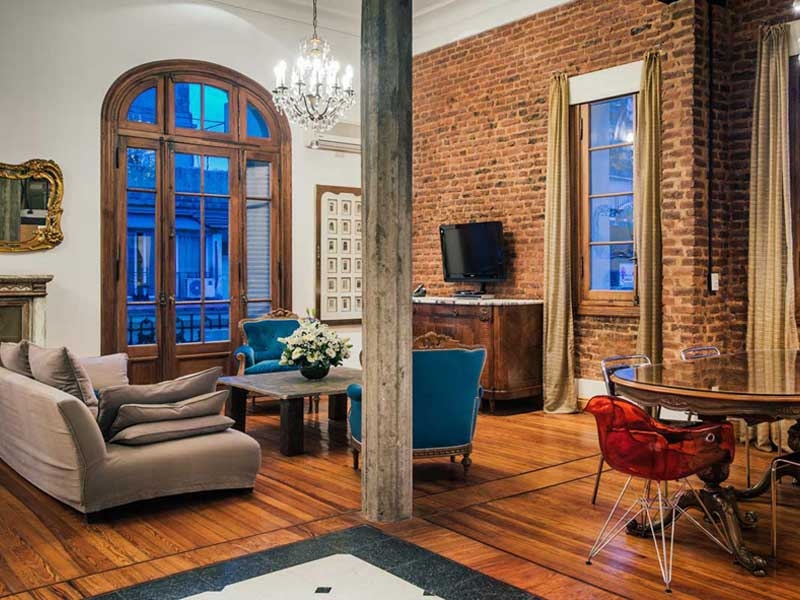 Apartment in Recoleta, Buenos Aires - The Majestic ! Turn of the Century 5380 square feet apartment in one of the most exclusive areas of Recoleta features five elegant bedrooms, pool table, and even your very own fireplace! 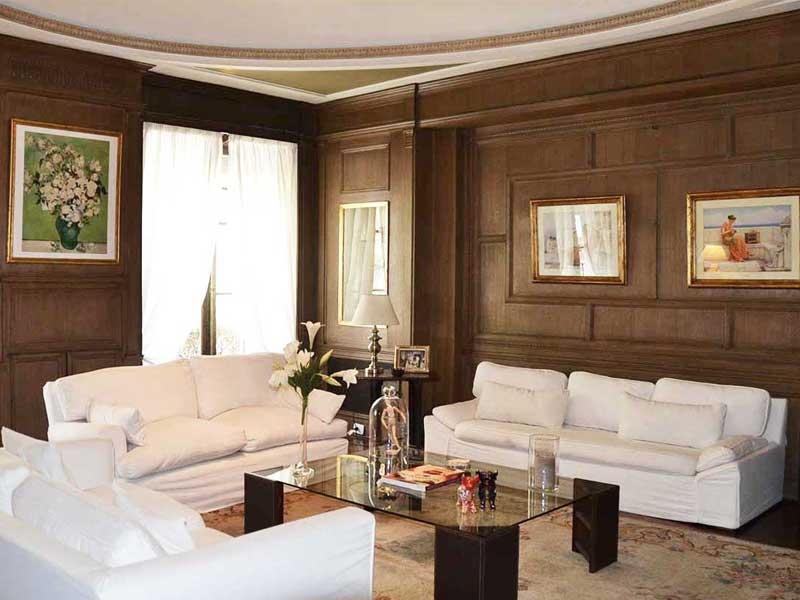 This exquisite Recoleta apartment occupies the entire floor of an elegant period building right on Avenida Libertador, and has been fully renovated to the highest standard whilst retaining its beautiful original features. From the moment you enter the building, you know this is somewhere extraordinary. A grand arched doorway leads into the apartment, featuring original wooden floors, gleaming chandeliers and period features. The spacious open-plan living and dining area has plenty of comfortable seating space, and features a 32’’ screen TV with Cable, pool table, wooden dining table with seating for 10 and even your very own fireplace! The kitchen, adjacent to the living area, has been fully remodeled and equipped with high end appliances and large marble table with chairs. Three of the five spacious bedrooms feature a king size bed, and the other two a queen size bed, and can all be split into two singles. Two of the bedrooms are ensuite, and feature solid marble sinks and bathtubs. The ensuite bathroom for the master bedroom even has deluxe twin rainfall showers for two. The two front bedrooms have access to a french balcony overlooking the impressive Avenida del Libertador, towards the port; and the rear rooms have views over the charming streets below. This chic modern apartment boasts stylish lighting, artwork and decoration; whilst the period features bring a sense of old-world elegance and a touch of the traditional. The entire apartment is air-conditioned and decked with gorgeous mood lighting whilst large windows fill the space with natural light during the day. Each bedroom has its own contemporary style, and every last detail of the apartment has been curated to perfection. Live like royalty in the halls of this enormous private residence, and you will definitely not miss the dreary world of hotel rooms….